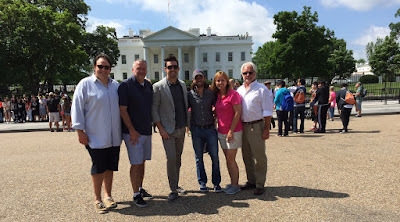 NASHVILLE, TN (May 29, 2015) – This week, fans got a glimpse of Jake Owen’s “Real Life,” moments, following him from the Waffle House to the White House. 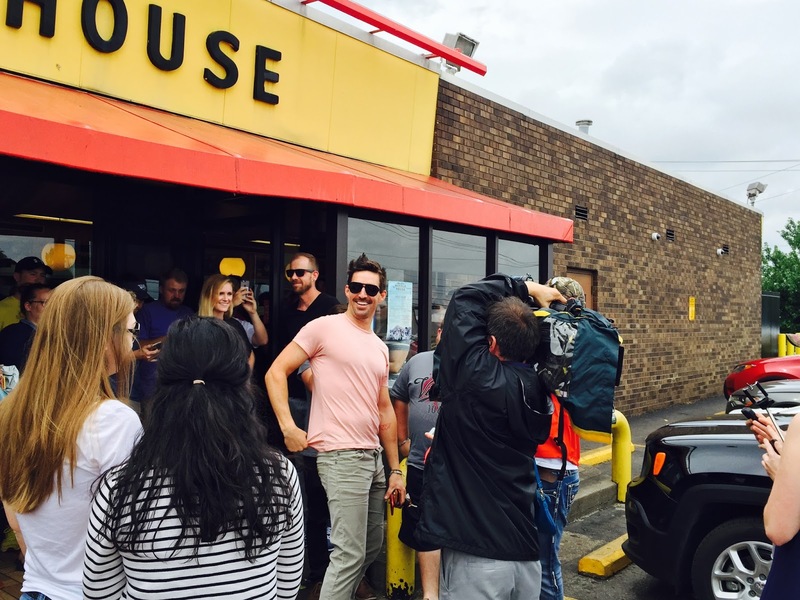 The country superstar, who often surprises fans with one-of-a-kind experiences via Twitter, celebrated the release of his brand new single "Real Life" by treating fans to the scattered-smothered-covered fare at a Nashville-area Waffle House. Sending an invite to join him for lunch via this social platform, a huge crowd turned up. To catch the action, check out his flipagram and Instagram. Owen aptly chose Waffle House since he mentions the restaurant chain in the song's catchy lyrics. The following day, Owen made a stop at another famous house – the White House – while in the area for his tour stop that night on Kenny Chesney’s THE BIG REVIVAL TOUR. "Yesterday I was at the Waffle House…today I'm at the White House," shared Owen on Instagram with the caption #REALLIFE. Named USA Today’s “Song of the Week,” "Real Life" (Ross Copperman, Shane McAnally, Ashley Gorley and Josh Osborne) is the first single from his forthcoming fifth studio album on RCA Nashville due out later this year. This new summer anthem is now available at iTunes and sets the playful, boundary-pushing tone for the project. Fans can catch the dapper vocalist performing “Real Life” live on Kenny Chesney’s 2015 THE BIG REVIVAL TOUR throughout the summer. Owen ascended to stardom with five #1 smashes - the 2X PLATINUM anthem “Barefoot Blue Jean Night,” PLATINUM-certified hits “Beachin’,” “Anywhere with You,” “Alone with You,” “The One That Got Away” and the critically acclaimed “What We Ain’t Got.” Previously taking home ACA and ACM Awards, the Vero Beach, FL, native has earned GRAMMY and TEEN CHOICE Awards nominations. For tour dates and more, visit www.jakeowen.net, on Facebook at www.facebook.com/jakeowen, and follow him on Twitter @jakeowen.